Wallpapers available here and here! Robert Hicks, MarkDTS@gmail.com, and 249 more people like this update. I'm just a volunteer admin on shadowrun.com, and Cliffhanger (Shadowrun Online) chummers run the site. I'm just a huge Shadowrun fan in general, and love what HBS has done with 'Returns and moreso Dragonfall Director's Cut, not to mention their other games which have so far all been a lot of fun. where's ze new campaign lebowski?!?!?!? Cool, excited about the new project. Any chance that we can get these posted at higher resolutions? Specifically 1200 x 1200 or higher? Glad to see the runner-up choice for the expansion is getting some love. Hope we get to check out London someday. Come on now, get to running! Coming from Hong Kong. This is badass. Fantastic work on the first two, looking for a fantastic follow-up. As long as you y'all keep making these high-quality installments, I will keep giving you my support. Jared87 you took the words right out of my mouth. Dragonfall was GOTY for me, returns was awesome as well. Want to keep these guys making more Shadowrun for as long as I live. Dudes - it's January! NOW! WHEN DO I GET TO GIVE YOU MONEY??? Hmm I wonder how much I'll be able to back this one for, concept is tempting. Thanks to Australia's reliance on digging stuff out of the ground to make money our dollar is rubbish, takes a lot more to buy stuff in US dollars now and I'm spent from the holidays. Hopefully end of January to give my finances time to recover. Packing luggage. Waiting for ticket counter to open. Is there any reason they couldn't have an adventure span all the regions so far? New Years Resolution - Donate lots of moneyz to SR. I hope they do another expansion as part of the pledge....sort of how berlin worked out. @Morten I do understand that there will be an awful lot of work and effort involved in making this even using the existing tools they have in place. All I'm saying is that if they market this as an expansion, like Berlin was, it's going to be a bit of a stretch to expect people to put in as much as they did for the original. Oh snap! This is going to be good. Money is yours! Valad - Even with the existing assets, they are going to need to write a new story, create the art for it (Hong Kong is neither Berlin nor Seattle) and create the areas. Given the feedback, they may also need to edit how the matrix works and support a non-linear and/or branching storyline (which will likely be quite expensive). So, it is going to be a major endeavor to make this game. Depending on how well SRR did, they may actually need additional funds from a Kickstarter campaign to build the game they envision. 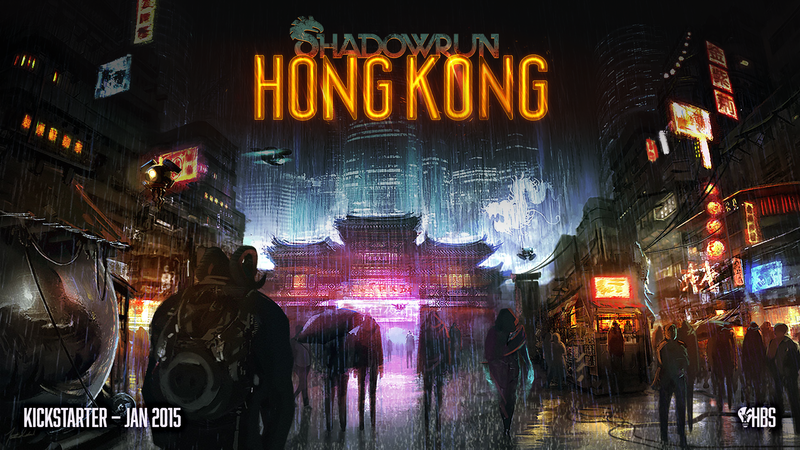 Hong Kong makes sense as it was also quite popular in the DLC polls (Update #17). I also don't see a problem funding it through Kickstarter. Feels a bit more involved with all the updates during development. I would also like to see a little bit fancier matrix. Not sure if it makes sense, but a makeover of Dead Mans Switch as a stretch goal would be really nice. Considering I think the original Kickstarter truly listened to those who had backed them, kept all of us up to date with the progress of development AND delivered on all of the key points they promised I'm happy to see that another release will be happening. That said... what could they possibly be offering which would make me want to back this on Kickstarter versus a normal retail release? Surely all the ground work is already there and paid for by the original Kickstarter. I'd like to see enough 'new stuff' so that it doesn't feel like I'd be supporting what would be an expansion pack (much like Berlin). Sounds like a new campaign with the existing engine, which is IMO a good thing. It does suggest that the money made from the previous campaigns isn't enough to cover future development, which is a pity, but I think that going to Kickstarter again is fine. I hope that the campaign has a reasonable pledge level for the game. We all know it would sell at half price within a month or two and for around $5 a few months later. I don't expect a $5 pledge level, but for a while the trend has been for $20+ pledge levels for games from known developers, and I feel that would be too much, so hopefully that won't be the case. Also please offer the Android version as part of a pledge. The previous campaign didn't include it, and technically it's easy to provide. I got double expiration notices when I tried to get the wallpapers. 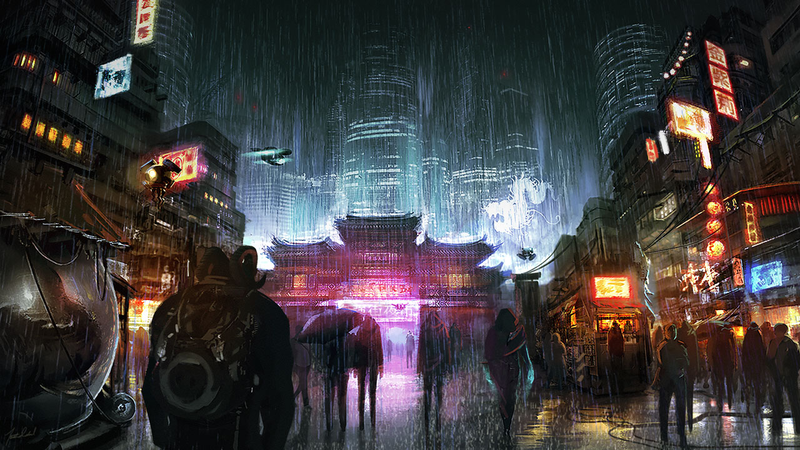 Will it be part of the Shadowrun Returns set-up or does it happen at a different date, like in the 2070s? @Roger: Don't forget that Microsoft still owns the licensing rights for Shadowrun video games, so I don't think they'd approve the release of a Shadowrun game on Sony platforms... Perhaps a release on XB1 is a possibility, but of course it would still take time (money) for HBS to port it to work on that platform and considering the game is designed to work with a mouse / touchscreen, it would probably be a fair amount of work. Looks great guys!! Would love to see a bit more depth in the Matrix section. Awesome - more SRR is very good news. As others have said, I'd love a higher res version of that wallpaper. As João Carlos Bastos rightly said, I have absolutely no problem with you coming to KS in order to raise funds for more Shadowrun Returns games. In fact, again like João said, I wouldn't mind you coming back every six months just as long as you keep creating fun campaigns. Whether you get the money from sales, or you get the money from crowdfunding, who cares? Both xbox and sony now....you would think these would work. Any chance we'll see the game come to consoles? There have been some great indie games on PS4 and Sony seems to be doing right by the indie developers. damnit, i'm looking for a thingy to click to make my moneys go away and SR:HK appear in my apps folder. WHO HAS THE THINGY? Save anywhere like the last game. And, you know, I get it. People can develop very strong opinions regarding how their pledge money is spent. I too, have my recommendation/wishlist for what I hope/want HBS to do. That's it. I love the P&P game, but I wouldn't necessarily want it modeled in one of your games. Your games have been great, and each iteration has shown strong improvement.